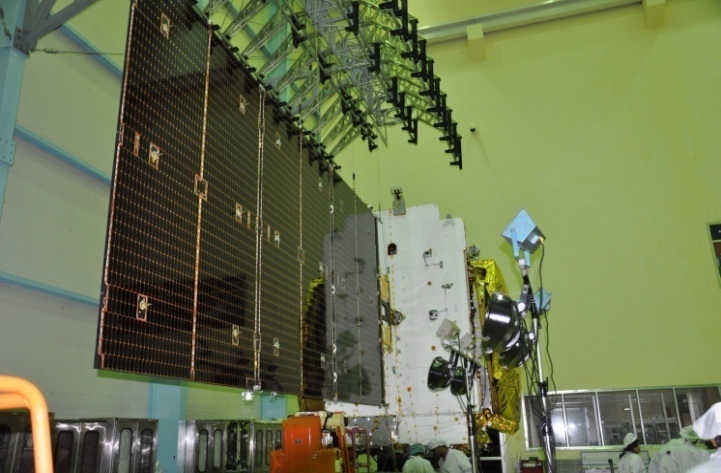 India's latest communication satellite, GSAT-18 was inducted into the INSAT/GSAT system on October 06, 2016 from Kourou, French Guiana by Ariane-5 VA-231. 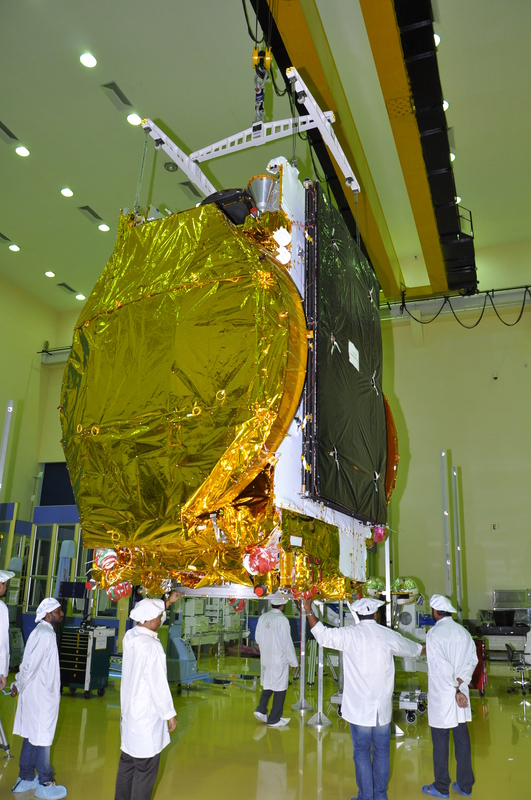 Weighing 3404 kg at lift-off, GSAT-18 carries 48 communication transponders to provide Services in Normal C-band, Upper Extended C-band and Ku-bands of the frequency spectrum. GSAT-18 carries Ku-band beacon as well to help in an accurately pointing ground antennas towards the satellite. 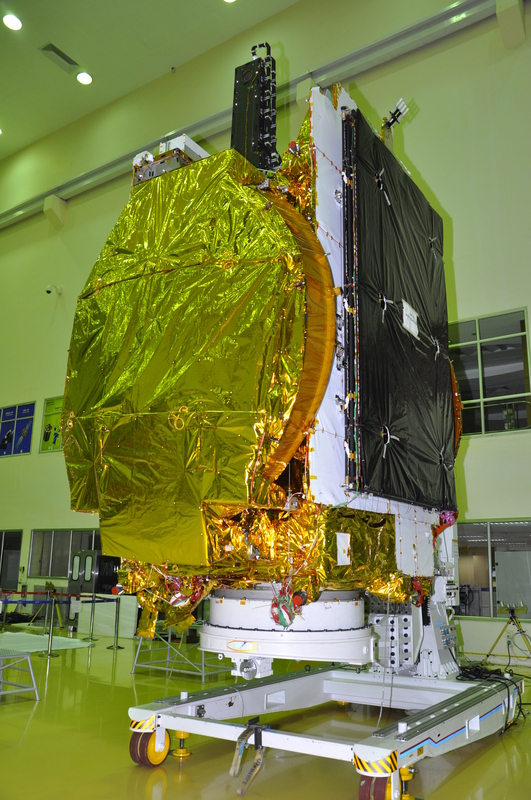 GSAT-18 is designed to provide continuity of services on operational satellites in C-band, Extended C-band and Ku-bands. 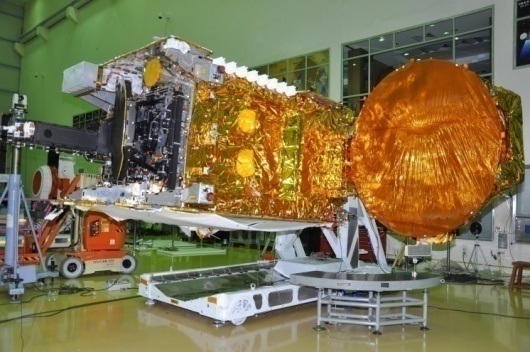 GSAT-18 was launched into a Geosynchronous Transfer Orbit (GTO) by Ariane-5 VA-231 launch vehicle. 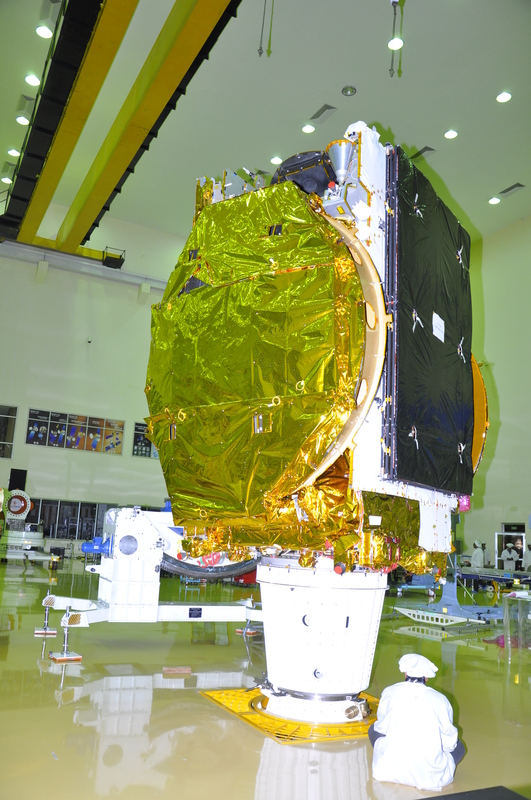 After its injection into GTO, ISRO's Master Control Facility (MCF) at Hassan took control of GSAT-18 and performed the initial orbit raising maneuvers using the Liquid Apogee Motor (LAM) of the satellite, placing it in circular Geostationary Orbit. 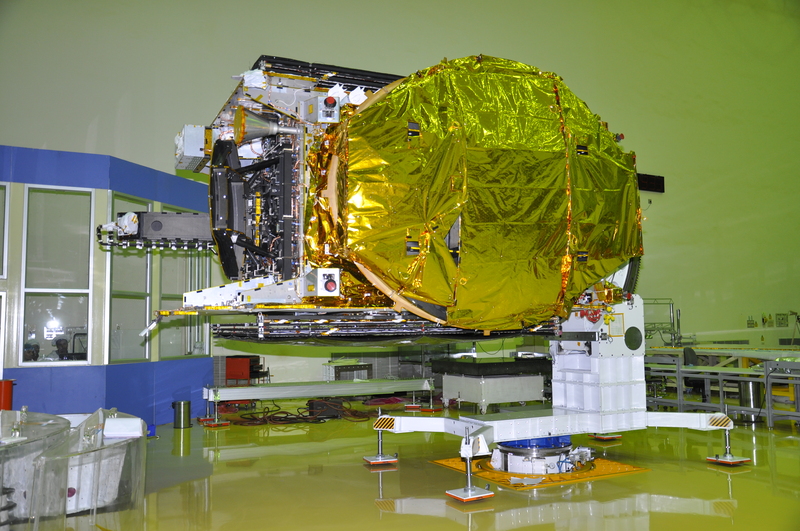 The designed in-orbit operational life of GSAT-18 is about 15 years.